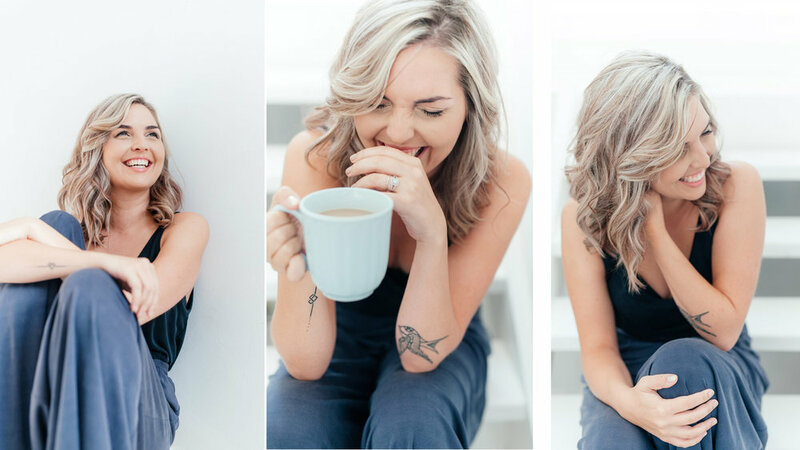 While I've been toying with the idea of incorporating a blog onto my website I never actually sat down and did it. Now it is our winter break, there is time to do it and the most pressing reason is that I want a space where I can deliver certain messages. "Like what?" you might think. Like "Stop trying to diet yourself into a 'new person'" or "Why your 'supportive' mother is no longer welcome here". I will be direct here and leave the sugar coating where it belongs in the pot, tightly sealed, in the kitchen. Boom. And not to be mean spirited or negative in the ramblings but to shine a light on issues that we deal with every day that seriously affect the emotional and mental well-being of our brides. So ja, there will be a bit of venting but I'll also share incredible shoots and the stories behind them or show you behind the scenes photos on dresses we have worked on and the time and meticulous craftsmanship that goes into every dress. But first. Let's dig a bit deeper into Janita and the brand. I was born and raised in Bellville...yup agter die boereworsgordyn and some might even say on the wrong side of the N1 too. I am, contrary to the Northern Suburbia stigma, quite happy to say "CY 'till I die!" Hahahaha!! I was always arty inclined and loved art at school and, also, maths. It was a friend of mine who planted the seed of studying fashion and I am forever grateful for that morning that she came into class and told me about this particular fashion college. It changed my life...seriously. My applications for Stellenbosch University for BCom, BAccLLB (I think both my accountant and my lawyer will fall off their chairs if they read this) and B.A was sent in and I was accepted for the BCom. I really don't know what I would've done with that BCom and no one could ever tell me specifically what it would be good for. I once spoke to a broker who just kept saying "You can do so much with it!" to which I asked "Like what?" and his only response "So much". Hmmm. Okay. During college I never thought I'd go into wedding dresses, not because I didn't like the idea, but mainly because my garment construction lecturer said "Janita, you really shouldn't be sewing" and another lecturer said "You know, your designs aren't that strong but you're really pretty and you dress nicely so you should go into styling or public relations where people can look at you". Even when I quit my retail job in those following years in order to pursue my dream of having my own brand I was told "You will never make it. In this world to run a business you need hair on your teeth. You will fail." Hmm. Okay. You see, they didn't realize that I was raised by a blerrie hardkoppige woman who encouraged my sister and I to ask questions and challenge the normal way of doing things, and whenever there was discouragement or an attitude of it-cannot-be-done she will march on over and make a point of proving them wrong. So, with those words that should've crushed my soul I sort of threw the finger and naively set about starting my own business. And it was good, the naivety. I think every single business owner will tell you that if they realistically knew what waited for them when starting they would have reconsidered. The blood, sweat and tears are real but wow, when you get to look back and by the grace of God see how things turned out, there is no feeling quite like it...accompanied by the immediate wave of anxiety by the pressure to maintain the growth. Now, in this year 2017 I have a really, truly amazing team that works with me. 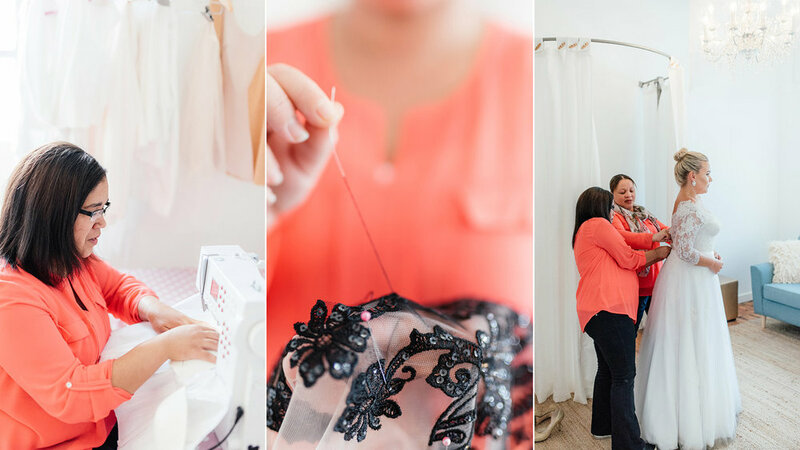 Seamstresses that really do put their heart and soul into the making of a dress. Women who appreciate every little compliment and acknowledgement of their craft when a bride is happy with their handiwork. I love that and I am so proud. I think I needed to put this out there. You know, be a bit real and raw. So ja, let's see how it goes with starting a blog. Let me shelf my fear and see if we can encourage, inspire and build a lekker supportive thing here. Dear Bride, Stop with the ridiculous diets.